The machines are built in France at ACS, a subcontractor of AIRBUS Group; designed to provide maximum endurance, each paramotor is tested on the power bench before shipment. The high-capacity batteries reflecting the latest Li-Ion technology deliver significant energy; they incorporate their own monitoring and protection systems. The quality of these engines has already been proven in competition: we are World Champions in Electric Slalom (Poland 2015). The engines are also used for daily pilot training. TAKE OFF QUIETLY RIGHT FROM HOME ? 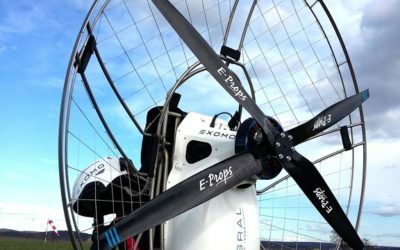 Powerful enough to allow short takeoffs, an EXOMO electric paramotor does not disturb the neighbors. The electric engine is noiseless and fly-by is virtually inaudible at 200 meters: you fly without disturbing the natural environment. Always ready to fly, the EXOMO electric engine only requires setting up and connecting the battery, you can then get ready to take off. With a simple switch located on the throttle, you turn on the engine and off you go! FLY IN COMFORT AND ENJOY THE THERMALS ? Without vibration, with a very reduced sound signature, the EXOMO electric drive also allows you to fly without a helmet, in-flight comfort is unsurpassed. You can also stop propulsion in flight by simply releasing the throttle as soon as you feel thermals and paraglide to extend your flight. CLEAN-ENERGY CHARGE AT HOME ? The EXOMO electric set is equipped with batteries that you can recharge hundreds of times from a standard wall socket; you can also stock up on electricity from renewable energy sources. 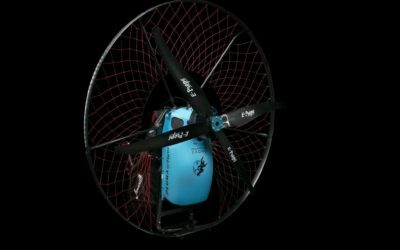 Totally clean, the electric paramotor can be stored in your home and can be transported in your car. FLYING WITHOUT MAINTENANCE WITH EXEMPLARY RELIABILITY ? 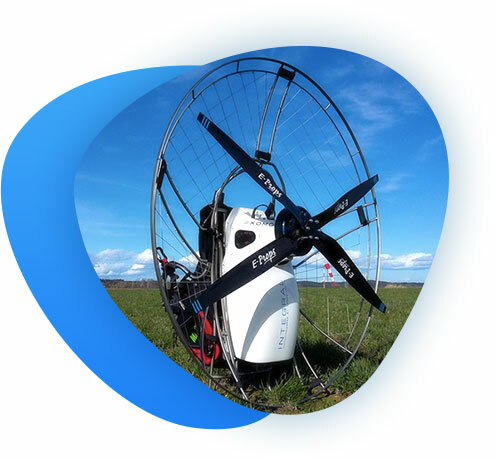 The EXOMO electric paramotor is equipped with a brushless engine with only one moving part, there is no wear and tear and no maintenance! All the parts of this engine have generous dimensions to promote reliability. the EXOMO equipped paramotors garantee years of safe flight. 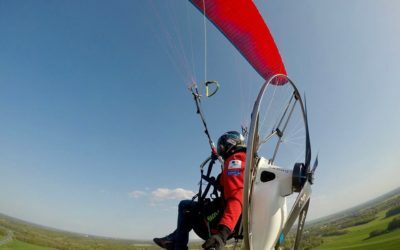 The acquisition of an electric paramotor was a reasoned act, the solution to the question: how can I fly often, not far from home while maintaining the logistics of paragliding? The EXOMO has met my expectations by allowing me to take off near my home, in the morning before work or in the evening for a ride as soon as weather allows. I fly much more often than I paraglide and the electric motor allows me to take off in a few minutes without disturbing my neighborhood ! INQUIRIES ? QUESTIONS ? CONTACT US NOW ! 4 years warranty for the EXOMO batteries ! 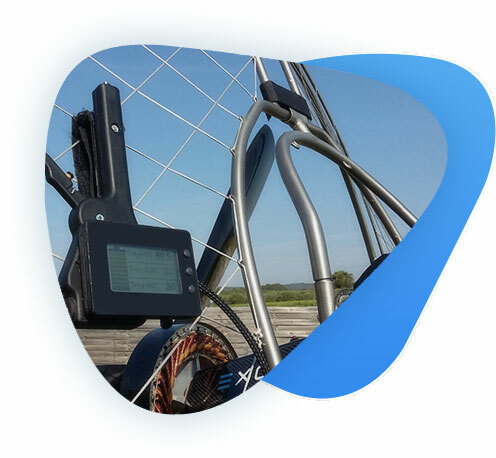 ADVENTURE, the biggest paramotor brand in France with 27 training centers, have now his electric paramotor powered by EXOMO !